Diwali is not complete without making mixture. 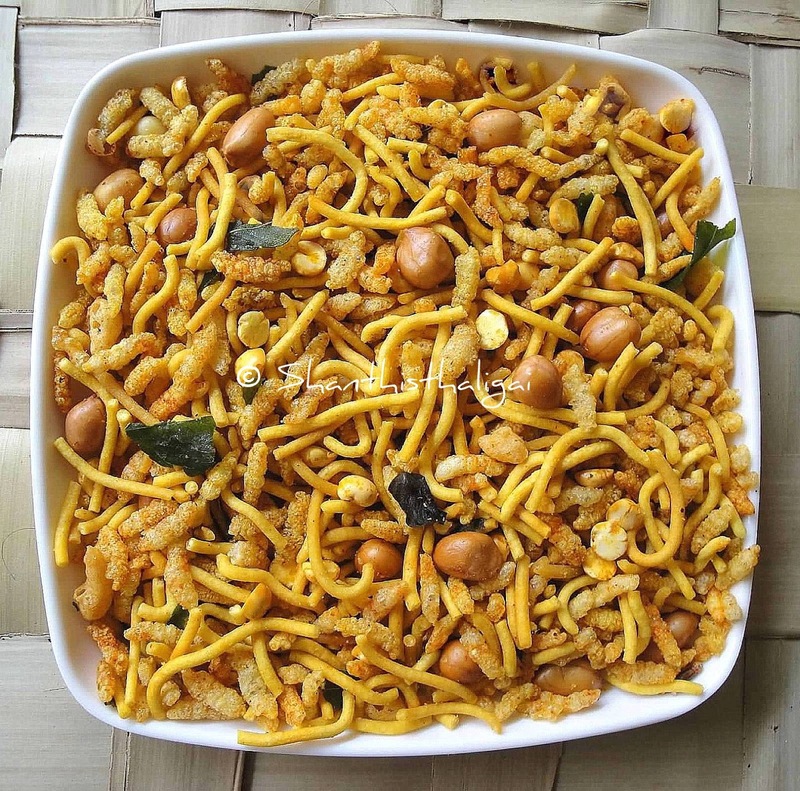 Here is an easy recipe of mixture which can be done in minutes. Even novice cooks can make this with ease. Sieve aval without any sand. Heat oil in a kadai and make Oma podi as said here. Keep aside. In the same oil, deep fry aval. Aval puffs immediately. Fry little aval at a time. Remove aval and put it in a broad bowl. Add little salt and mix gently. Crush Oma podi slightly and add to the fried aval. Heat ghee in a pan. Add peanuts and fry until golden. Again add a spoon of ghee and fry pottukadalai until crisp. Add curry leaves and roast a bit. Add turmeric powder, chilli powder and hing. Give a quick saute and add these to the fried aval, omapodi mixture. Mix everything well but gently. Spicy and crispy mixture is ready. When cool, store in an airtight container. Generally, peanuts and pottukadalai are also deep fried in oil. Using ghee enhances the flavour. I've read stuff from. Thank you for posting when you've got the opportunity, Guess I will just bookmark this site. Excellent site you've got here.. It's difficult to find quality writing like yours these days.